Firmware Problems or My (Fairly) New Laptop, Desktop, Router, or ??? Does Not Work Right! It Did Once ... Or, It Never Did! Can I Make It Work? Maybe you can. Unless it's REALLY broken. Maybe it's just your firmware (or driver). This article is addressed to those whose equipment is NOT working the way they want it to; if your systems are working perfectly, you can go away now. We think of our machines as hardware, and they are, but they are more than that. The hardware is frozen pretty much, but controlling all that fairly unchangeable hardware is a lot of hardware specific software, sometimes called firmware when it is written to a machine's stable memory. Usually that's what is broken. Along with computer related drivers and stuff. This software can be fixed, and often needs to be. It is a sad fact that a lot of beautiful new equipment (including laptops and desktop computers, routers, wireless and otherwise, network adapters, and peripherals) doesn't work the way it should, even though it is or was the latest and greatest whizbang stuff when we got it..
Well, one reason is often that that beautiful piece of hardware got rushed to the customer so quickly, that the supporting software, that is to say, drivers, configuration utilities, and firmware, was never quite ready for prime time, BUT got shipped out like that ANYWAY. 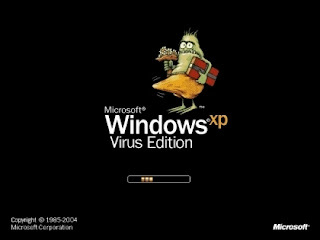 Many people have their Vista and XP computers set to download Microsoft's updates to their computers and automatically install them, as they should, and many have anti-virus software set to do the same, but most of those people DO NOT have their computers set to automatically update the proprietary, system specific software for that manufacturer's computer, or router, or whatever, most often, because they can't. IT'S A MANUAL JOB. At this time of year, when we travel to see family, and I am pressed into computer repair and maintenance, I confront laptops that won't connect reliably with Wireless-G or "N", printers that skip pages or revert to older drivers ( !!! ), desktops that will not recognize new peripheral equipment ... and so on. Most of the time, these machines can be made to work the WAY THEY WERE SUPPOSED TO by upgrading the firmware, driver, config utility, or some piece of manufacturer's software, that postdates the release of that equipment to the marketplace, that is to you and me. Laptops, for example, those most proprietary of personal computers, have a lot more vendor specific software than other machines. My wife's laptop, the brand of which shall remain nameless to protect the guilty (a first tier, well-respected maker), never would connect reliably with Wireless-G, which was built into the machine. Also the maker-supplied update utility didn't work. We had to go to the maker's support/download website, pick out her machine, and see what was available for it. Finally, 15 months after this machine hit the market, we found a newly released wireless driver for her computer, which fixed the problem. Oh, and they also had an update for the update utility so we updated the update utility and now that works, too. It's UPDATED, don't you see? The hardware-specific software updates for my wife's laptop are still not PUSHED out to her, the way a Microsoft OS update is, and we have to manually run the update utility, which we do, but now at least, we can. It's really useless to get angry, I suppose, since this is a problem with all of the equipment out there. But, it's hard not to be mad when you're in the middle of a problem you didn't make. And you paid good money for your equipment. What you can do is go to the router maker's website and update the firmware, do the same for the firewall, the same for the laptop, the same for your printer, update any software for all of that equipment, and so on. The well-respected maker of one popular wireless router is up to version 8 of their firmware for that device. VERSION 8 over a 4 year period! And there were multiple incremental releases in between major version numbers! OK, the router worked, mostly, with version 1, BUT ... there were problems, all of them documented in the Release Notes for the firmware. I know, I read those Notes and discovered in them quite a few of the problems that had bitten me. 1) OS software -- XP and Vista must be set to download and advise you of the availability of all updates. You must manually run the update utility, that is Microsoft or Windows Update occasionally to make sure you are not missing some hardware or application update you may need, which will not otherwise be automatically pushed out to you. 2) Peripheral or Add-on hardware drivers and software, such as graphics cards, network cards, USB to network adapters, printers, and so on. Make sure you connect with the support and download websites for the makers of your equipment every couple of months to see what they have released for your equipment. 3) Computers themselves, that is, laptops, desktops, servers, etc. 4) Network equipment, such as routers, wireless and otherwise, firewalls, managed switches, whatever. Gee, sounds like a lot! Of course, I guess it depends on how much hardware you have! Now, remember, if all of your computer equipment is working perfectly, you don't have to update your firmware, BUT that's not why you're here, is it? Bring in the CLONES -- Do You Really Have a Backup? Or, HEY!, Backups Fail, and What Are You Going to Do About It? OK, we all have our computers backed up, right? Right? Those of you who answered "No", or who did not answer...hey, you GOTTA back up your machine. But it's a PAIN, right? And, I often wonder, is that backup REALLY complete, or there at all? Or corrupted, and it just LOOKS like it's there ... until I try to restore something from it. Sigh. If you use the Windows supplied backup software, which is different for Windows 7 and Vista and different again for XP, you may think you have your files backed up, BUT when you actually go to restore a file, you may discover, with Vista, for example, that only non-binary files have been backed up. With XP, the hodgepodge of complete system backups with "System State" saved, along with incremental backups can easily overflow available backup devices. Sadly, it's best to have multiple backup strategies in place, because, well, you know, you may not have what you think you have when you need it. So, belt AND suspenders. Use the Windows backup tools. Make a complete image backup of your hard disk to a similarly sized disk, or 2 disks, once or twice, a week. That's what I do with my important home system, and it has saved my bacon more than once. Yes, it's overkill. Yes, I am backing up a lot more data than I have to. Remember, though, redundancy is safety. Belt and suspenders. Plus, your backup, as a cloned disk, can be BOOTABLE. You lose your primary disk. You still have your backup clone(s). You boot from your external cloned disk -- which means you are up and running from a hard disk catastrophe in minutes. Try doing that with a conventional backup! You can then do a so-called bare-metal restore from your clone to your new primary disk. Oh My God, it's a wonderful thing. There are several commercial products available that do this wonderful thing. Norton Ghost 15.0, Casper 7.0, and Acronis True Image Home 2011, are all programs which offer the ability to clone your disk. They all do other things as well, from full-fledged backups, to scheduling, to, well, all kinds of stuff. The most important thing for me, though is the cloning. Casper is the simplest, though by no means simple, and I use it all the time, and it has saved me from drive failures, Windows update and upgrade failures, and dumb things I don't want to talk about. I schedule mirror image backups 2X a week to 2 (external) eSata drives in sequence. You may not have eSata ports, but you certainly have USB ports, so use an external USB drive, or better yet get an external drive with both eSata and USB interfaces. External USB eSata enclosures are available for less than $25, and you can get a 500 GB Sata 2 2.5" Seagate Drive for $60 -- it takes 2 minutes to snap the drive into the enclosure, and you're ready to go. I have purchased just such items from Amazon (no connection but that of a satisfied customer). Now, my cloned images ARE there on my external drives, and I KNOW they are, because I go look. Also, I am notified when Casper has completed its cloning operation. It can happen at night, and it does not get in my way. It's a good thing. Safe. Portable, too, those external hard drives. Also, if you want to upgrade your hard disk, the nice thing is that Casper will STRETCH the Windows partitions to a larger drive. You want to go from a 500GB drive to 1000GB drive? No problem, and the whole disk will be used. Clone yourself. Well, your disk anyway. Clone ZEN. 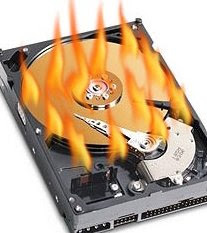 What if your computer is infected with a virus or something very bad, and you cannot get it to stay up long enough without crashing to run a complete scan, or it will not boot and you've tried to clean it with an anti-virus program from your bootable cd or dvd drive, BUT...there is stuff on there you REALLY WANT? How to get that stuff? Well, one way, is to boot from a clean, primary boot disk, with the infected disk(s) attached, and then clean up those disks. With a modern system that allows you to boot from an external USB or eSata drive, it's a simple thing to attach such a drive, boot to your computer's BIOS, set the machine's BOOT priority order to boot first to the USB or eSata drive of your choice, save your settings and then boot to the external drive. You can now safely clean those compromised disks. Once you are done, just reverse these steps. Shutdown the computer; remove the external drive; boot the the BIOS and set the BOOT priority back the way it was; reboot the original disk. Of course, you have to get a bootable external hard drive to make this work, but external hard drives have become very cheap these days, under a hundred dollars for a 500GB drive if you look round. If you have one already, great. If not, get one, and remember, afterwards you have a wonderful backup device! Then you have to install the OS on it. I will assume you still have the copy of XP or Vista you system came with, so you just set the computer to boot to your USB or eSata drive as explained above, and then to the CD/DVD drive and install to the empty drive when the OS gives you the option to do so. Be sure not to install to your old, infected drive, or you will wipeout all of your data. If you are worried about doing so you can take the side panel or cover off of the machine and remove the power supply connector or the data cable to that drive. Then it will not show up as a possible install target. Your manual should show you how to do this; if not take a look at this instruction from The Hardware Zone. You can also put a brand new hard disk in the computer using the same instructions, install the OS to that drive, and then install the original drive as a secondary drive by adding it to another SATA port on the motherboard, using the cable which came with the new hard drive, and a spare Power Supply cable. The procedure for cleaning the infected drive is otherwise the same. Hey, you just saved some dough! Happy now? Why Most Computers Fail and How to Keep Them Working! PC Advice for Tough Situations. 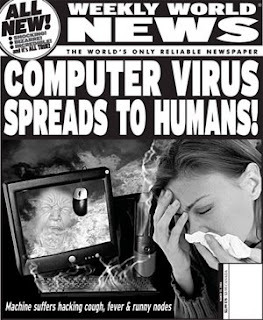 The truth is that up to 25% of the US personal computers out there are infected with viruses and/or worms or trojans. I think that figure of 25% is low, and if you add in the security-compromising, computer-slowing spyware, the figure jumps to more than 70%. People either do not know how to properly set up anti-virus software, don't know that it's necessary, or do things with their computers that break security. Like...not having any anti-virus/anti-spyware software installed in the first place. Like...having anti-virus software from 2004, with an expired subscription, that does not protect against current threats. Like...surfing to some of the infected web-sites their that will try to infect your system -- up to 33% of all web-sites. Like...opening that email attachment because it says you just won the lottery, or because it's from someone whose name you think you might recognize. If you want to take a look at what nasties areout there and how it might be affecting you. check out the Panda Security site map page, for cybercrime software and classic malware. There are 2 parts to software security on PCs: anti-virus software, and firewall software. Windows XP and Vista come with firewall software. Do make sure that it, or a commercial replacement is enabled and working. Windows will warn you if you do not have firewall protection. You also need anti-virus software, and by that I mean to include anti-spyware, anti-pop-up and other bad stuff installed. Such software is available commercially, and also freely, and can be downloaded over the internet. Windows does not come with a complete anti-virus software package. Those of you with Vista already have some software protection in Windows Defender, which XP users can download and install. There is also hardware security for a PC network, which, at its most basic, can be taken care of by your router, and which will protect you in some ways like your software firewall. How do you know you are infected or have a problem? Well, most of the time you already KNOW you have a PROBLEM, because your computer is acting funny in some way, that does not appear to be hardware issue. If you are having a problem with a slow computer, lots of email messages talking about "Undelivered Mail" from recipients you don't know, you may have a virus or multiple virus infection. At worst, your system may have been"taken over" by a "botnet" and remotely controlled to send spam or steal credit card info, perhaps even your own. 1) Use a good, cheap NAT router, wireless or otherwise, that blocks certain types of attacks, such as the $60 (street price) Linksys WRT54G, which will also hide your computer(s) from outside systems. 2)Install a good, cheap Anti-Virus software on your PCs (how does FREE sound? ), such as AVAST! Home Edition, which does a very good job, and which is free to home users. 3) Don't do dumb things. Don't open software that appears in a pop-up on your screen offering to Speed Up your system, or clean bad software from your drive, or...whatever. Don't open email from businesses or people you don't know. And don't, don't, don't, open attachments in these messages. Also, if you think your computer is infected, for goodness' sake (! ), do not try to use it do do stuff, like ... send email, which may infect other machines, or make an on-line transaction, which may compromise your credit and banking info, if it hasn't been already! Once your computer is infected, you have to clean it first. If your computer will still run, and you can download and install AVAST!, you can schedule a boot-time scan, so, after you have the software installed, you reboot the PC and the anti-virus software will scan and quarantine the malware. After the system comes back up, you will have to opportunity to delete the quarantined files. If you can't boot your system, there are commercial products that will load an AV (anti-virus) product from a CD and scan your hard drives for malware. One of the most well known is Norton Anti-Virus . Sadly, sometimes the Windows operating sytem files are so completely compromised, that the infected PC will not boot. If that is so, you can still save whatever you have on that PCs drive, by booting from a new drive with the old drive attached to the PC as a secondary drive, and then cleaning that drive. Now that may mean opening up the box and getting into the machine, and is the subject for a whole 'nother post. What you need to know to keep your Home, Home Business, or Small Business Computer Systems, and Networks...Working! Many of us are working at home these days, dependent on a fairly randomly assembled collection of computers, laptops, printers, and networking equipment, as well as the related software, to keep ourselves in business. This blog is aimed at those people, and the common problems that we encounter with our equipment and software. For the purposes of the next few articles, I am going to assume that we have our networked computing environment all set up. In future articles, I'll talk about setting up or expanding such a system, and what you need and how to buy it, but for now let's talk about the system when parts of it break. How can we deal with issues that cause our computers, printers, and networks to fail without calling in a "pro", or a "geek", or a "nerd", so that we can replace the power supply or hard drive, even build a computer, load a new Operating System like XP or Vista, disinfect our machines when they're filled with worms or viruses, set up a firewall, or stuff like that there? In these next articles I'm going to discuss how to do some of these things from a basic viewpoint, so that most of those who read this will be able to accomplish them (should they wish to), and I'm not going to get into a lot of detail. 95% of the problems we face DON'T require a lot of detail, just some basic procedures and info. First, I'm going to talk about getting viruses and other bad things out of your Vista or XP computers. And that will be the subject of the next article.